Forests cover 42 X 1012 m2 globally (Sabine et al., Chapter 2, this volume); some 21 percent (~7 X 1012 m2) can be considered managed in some direct manner. Forest carbon storage can be achieved by three principal means: (1) improve the management of currently forested areas, (2) expand the area currently forested via afforestation and agro-forestry, and (3) reduce the rate of deforestation. All of these measures aim to adapt management to alter the balance between carbon fluxes into the system (photosynthesis) and fluxes out (plant and soil respiration and harvest), resulting in increased carbon stocks or avoided emissions. Potential forest sequestration approaches 1 PgC y-1 (Watson et al. 2000); more realistic estimates of achievable sequestration are on the order of 0.17 PgC y-1 from improved management of existing forests and 0.2 PgC y-1 from establishment of new forests on formerly wooded and degraded lands (Watson et al. 2000). Financial costs are modest to high in Annex I countries (US$3 to $120 per ton C) and often small elsewhere (US$0.2 to $29 per ton C). Management measures to improve carbon storage in forestry include prolonging rotations, changing tree species, continuous-cover forestry, fire control, combined water storage with peat swamp afforestations, fertilization, thinning regimes, and mixed species rotations, among others. At some point management improvements will saturate forest carbon sinks; after 100 years of improved management, it is unlikely that any further net storage will occur. Cessation of deforestation is another major means for improving biosphere carbon storage in forests. Complete cessation of the current 1.8 PgC y-1 is unrealistic for a variety of reasons but nevertheless offers the single largest potential for forest carbon sequestration. Tropical forests and peatlands are at particular risk. With respect to peat-lands, it is important to ensure that water tables are maintained so that C continues to be sequestered, especially in the face of global warming at high latitudes. Although reversing deforestation is a laudable goal, it will be difficult to implement, govern, or reinforce without tangible socioeconomic incentives. Verification also poses difficulties. Over the next 20 years we estimate that with proper incentives 0.1 PgC yr-1 could be saved from deforestation, and twice this amount in the period afterward. Once the biosphere is essentially deforested, of course, this potential savings becomes nil. Despite large attention for carbon storage measures in the political discussions before and after the Conference of the Parties in Kyoto, only a limited number of example projects are underway. Together they affect only some tens of millions of hectares. There are a number of reasons for this: (1) the biosphere inherently shows a large nat ural dynamic, thus creating uncertainty and risk; (2) political discussions have been lengthy and outcomes uncertain; (3) biospheric sinks will eventually saturate in the future; (4) many other aims for land management exist (food, fiber, biodiversity, water storage), and all these aims have to be met in an integrated way; and (5) a verification infrastructure must be created and maintained. Some 40—90 PgC has been lost in agricultural soils since the onset of cultivation. Recapturing some portion of this carbon forms the basis for the soil carbon sequestration sink. The most optimistic estimates of soil carbon sequestration place potential rates of net carbon capture at 0.9 PgC y-1, which would restore most of the lost carbon within 50-100 years; more measured estimates place the potential at 0.3-0.5 PgC y-1 (Smith, Chapter 28, this volume). Soil carbon can be built through a variety of agronomic techniques, usually based on increasing plant carbon inputs, slowing soil carbon decomposition rates, or (more commonly) both. Carbon inputs can be enhanced by growing more high-biomass crops, by leaving more crop biomass to decompose in situ, by increasing belowground net primary production (NPP), and by growing cover crops during portions of the year that the soil would otherwise remain fallow. Decomposition rates can be slowed by reducing tillage and by growing crops with low residue quality—that is, containing organic carbon that is less susceptible to microbial attack. If financial incentives were sufficient, agronomic management for carbon storage could lead to the sequestration of 0.3 PgC y-1 within the first 20 years of adoption and on average 0.5 PgC y-1 for the following 80 years, providing a 100-year total of 46 PgC mitigation. After this period the soil sink will be essentially saturated and sequestration rates will be nil (Table 5.4). Sinking organic matter transports carbon from the near-surface ocean to the deep ocean. It has been suggested that the addition of trace nutrients such as iron could enhance this sinking flux and thus act as a way to store additional carbon in the deep ocean, where it is relatively isolated from the atmosphere. Field experiments of iron addition to the ocean have yielded convincing evidence (e.g., Coale et al. 1998) that productivity can increase several fold within weeks, and there is some evidence that export of organic matter from the surface ocean increases after both experimental and natural iron additions (Bishop et al. 2002). Theory and experimental evidence suggest, however, that most of the exported carbon will return to the surface layers within decades. 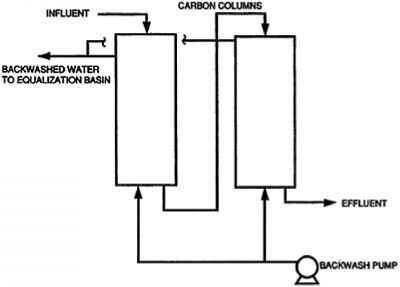 It has been suggested that iron fertilization could represent an inexpensive carbon storage option; however, widely discussed cost estimates are questionable as they typically have been based on implausible assumptions including that exported carbon has high C/Fe ratios, that all of the added organic carbon exported from the euphotic zone is balanced by a corresponding CO2 influx from the atmosphere, and that CO2 taken up by the ocean through iron fertilization remains there for a long time. Model simulations involving extreme assumptions (e.g., complete phosphate utilization south of 31°S) indicate maximum sustained carbon uptake rates of < 1 PgC y-1. Realizable sequestration potential is likely to be much less.